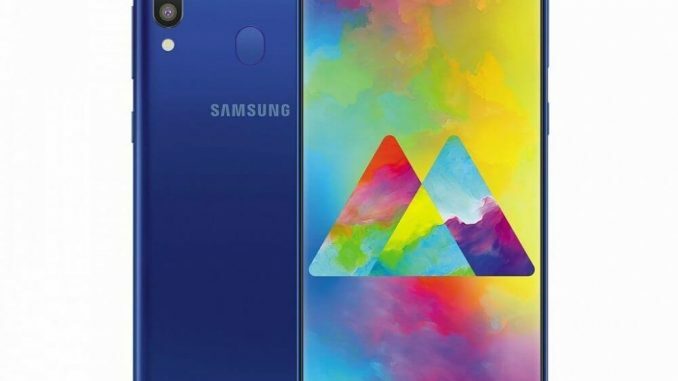 South Korean tech giant Samsung is going to expand its popular A series with the launch of Galaxy A20. Low battery size and RAM was a big problem in the mid-range phone but now you don’t need to compromise with phone’s speed and usage. 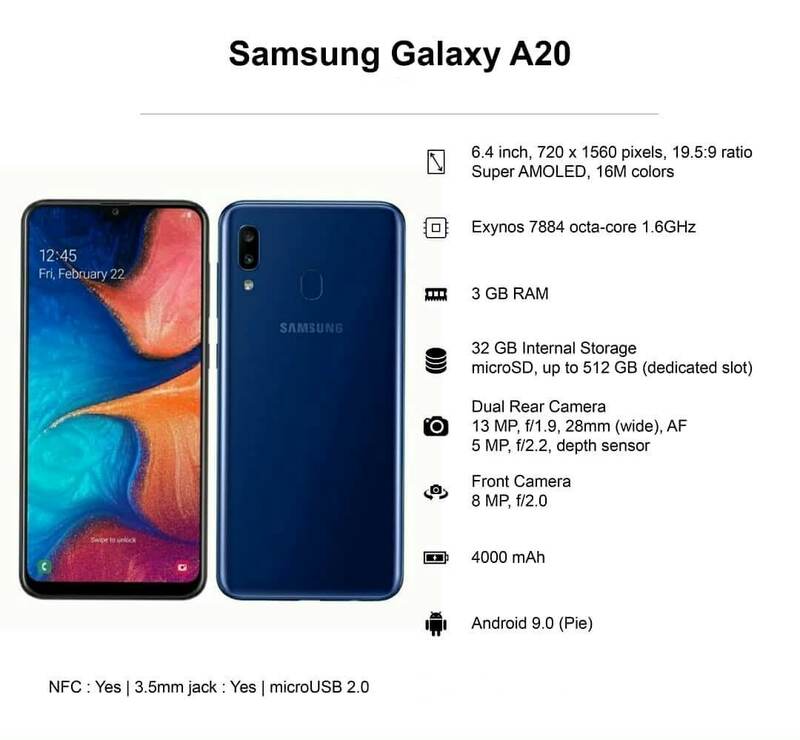 Because Samsung is going to give you the gift of Galaxy A20 that promises fast speed and long battery life. The key feature of this phone is the huge battery and 3GB of RAM paired with a powerful octa-core processor. Whether you are an avid gamer or a rough user, it will give you a long time performance without a lag. It is pocket-friendly and has some attractive features like Super AMOLED bezel-less display, huge battery, and dual-real cameras. This phone has already launched in Russia and is going to hit the Indian market on April 10. 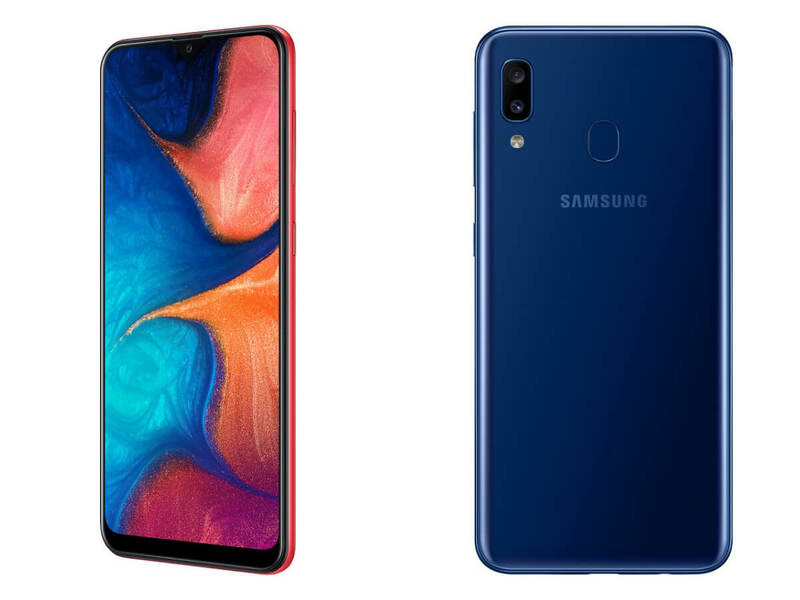 In this article, we are going to highlight the features of Samsung Galaxy A20 that are really awesome. It features Samsung’s own One UI and runs on the latest version of Android 9 pie. And the added benefit is, the firmware can be upgraded to a newer version of the operating system. The phone features 6.4-inch HD+ SUPER AMOLED Infinity V bezel-less display that looks eye-catching. It will be available in the 3 color options – Red, blue and black. 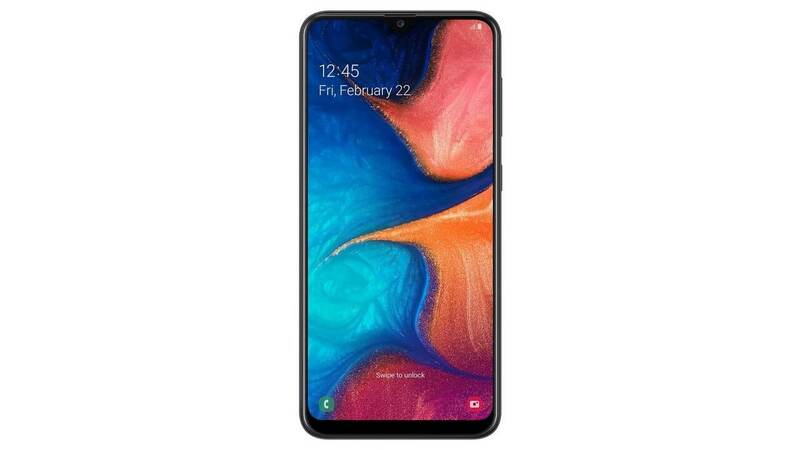 Samsung Galaxy s10 5G is also new released which is making huge impact on the market. It is powered by Samsung’s own Exynos 78884 octa-core processor and paired with 3GB RAM to deliver seamless performance. As well as, it has 32 GB of internal storage but it can be extended up to 512GB with the help of external microSD card. The phone comes up with a dual rear camera to capture amazing photos. 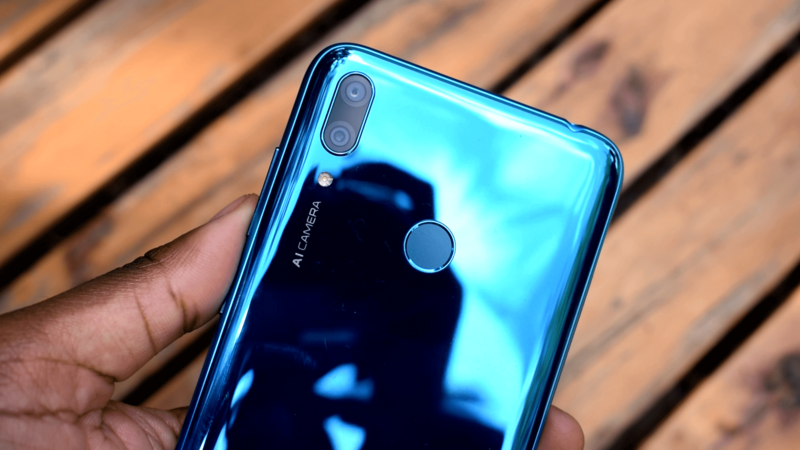 The rear camera is comprised of the 13-megapixel f/1.9 primary shooter and a secondary 5-megapixel shooter with f/2.2 aperture. The device has 8MP on the front for the selfie mode. It supports 2G, 3G and 4G/LTE connectivity. Along with this, there is Wi-Fi 802.11, b/g/n, Mobile Hotspot, Bluetooth, GPS with A-GPS, NFC, etc. It has a fingerprint sensor to unlock the phone at one touch. The phone is packed with huge 4000mAH Li-on non-removable battery that lets you play games for hours without moving to the charging points. The USB-C support and 15W fast charging feature allows you to charge the phone quickly. With the increasing popularity of online mobile gaming, the company has launched this model with improved battery and bigger display. The camera quality of this phone is fabulous. 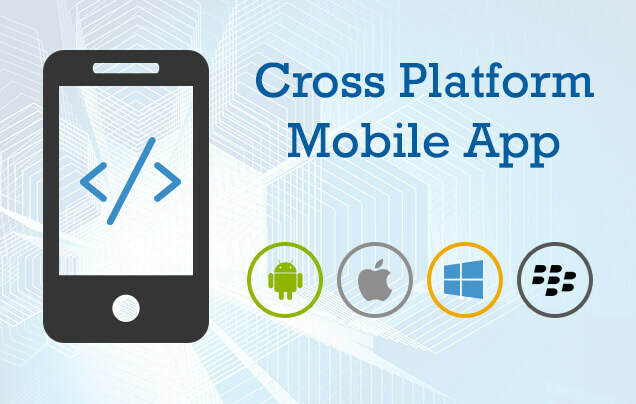 The phone comes in a mid-range price that simply aims to meet the requirements of the user at a reasonable price. The processor is powerful and RAM is adequate to deliver a flawless performance.